The civil war for Brune rushes towards its climax. Count Tigre’s army clashes with the partisans of Duke Thenardier for the succession of an entire country! With the King on his deathbed, Tigre and his war-maiden allies have no time to lose in reaching the capital city. If the monarch should die before recognizing Princess Regin, all the blood spilled in her name will have been for nothing. The Duke stands in fury against them–he hasn’t forgotten the death of his son at Tigre’s hands, and only blood will sate his wrath! 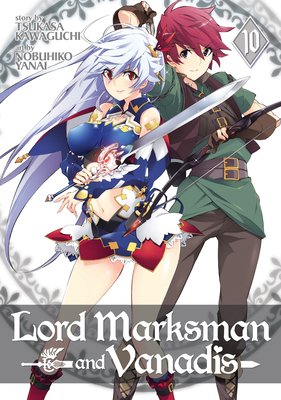 Don’t miss the clashing swords and whistling arrows in the final volume of Lord Marksman! Tsukasa Kawaguchiis is a Japanese light novel author, best known for his series series Lord Marksman and Vanadis.